After having completed the first part of this OAuth story, it is now time to implement the second part: the service consumer. While the our service provider made use of the DaliCore module dalicore-oauth, the service consumer will use the module dalicore-externalnetwork to make our connection to the service provider easier. As in part 1, it is probably best to download the sample service consumer application, which will make this tutorial a bit easier to follow. Before we start with the service consumer application itself, we need to be able to register service consumers in our service provider. Create a new class in the service provider application with the name ServiceConsumerHandler next to the already existing OAuthHandler class. return "consumer key: " + daliServiceConsumer.getKey() + "
After redeploying the application, we can create a service consumer by calling http://localhost:8080/oauthprovider/rest/serviceconsumer?name=ServiceConsumerName. The response will show us the service consumer key and secret that we will need later on when connecting to the service provider. Now we can start with the creation of our oauth service consumer. 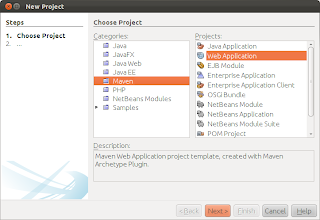 Create a new Maven Web Application project in NetBeans. This class contains two entry points. The home entry point is the URL that is being called to initiate a connection with our service provider. It detects if an access token exists on the active session. If an access token does not exist, we will connect with the dalicore-oauth service provider, by using the utility class DaliCoreExternalNetwork. The constructor of this class takes three parameters: the URL to the service provider, our consumer key and our consumer secret. Update the static fields at the top with the consumer key and secret you received by creating a service consumer as mentioned previously. When we have an instance of the DaliCoreExternalNetwork we simply call the connect method and provide the callback where the user will be redirected to after it authorized the service consumer. The callback is handled by the second entry point, named callback. It accepts the request token and a verifier that we will need to request our access token. This can also be done through the DaliCoreExternalNetwork helper class. By calling the callback method we will finally receive a valid access token which we store on the active session. Finally, we redirect the user back to the home page, which will print our access token information in the browser. Finally, you can build and deploy the application by pressing F6. Afterwards point your browser to http://localhost:8080/oauthconsumer/rest/home. Login with any username and password, authorize the service consumer and you should have your access token! This blog entry will focus on the second module. I'll show you how easy it is with dalicore-oauth to create a web application that can serve as an oauth service provider. In the next blog entry, we'll make a second web application that serves as the oauth service consumer that will use dalicore-externalnetwork to connect to our service provider. Our application server of choice is glassfish 3.1.1 and we'll be using Jersey for our web related components. It's probably better to download the sample service provider application already. This should make it easier to follow all the steps below. Allright, time to get started. We start with creating the web application that will act as our oauth service provider. 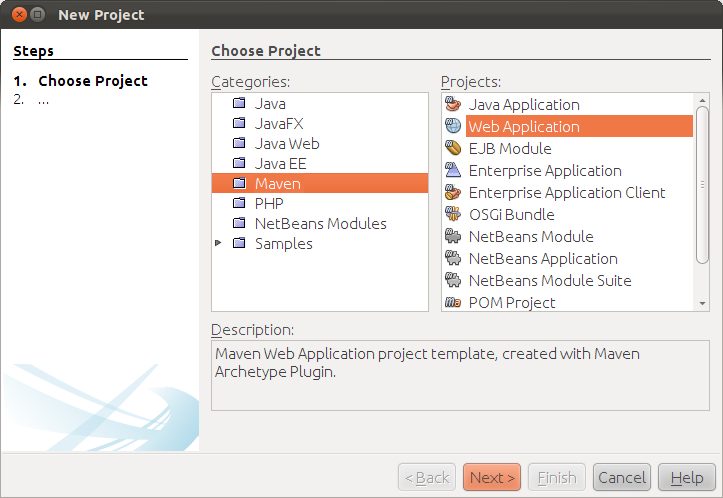 Fire up NetBeans and create a new Maven Web Application project. The class is a Jersey handler that contains three endpoints. The first endpoint authenticate will be called by service consumers that would like to authenticate a user for their application. We will show a basic login page where a user can provide a username and password. The second endpoint login handles a user that tries to login. For the sake of simplicity, we will create a new user when no user was found with the provided username. Notice, that this user must be of type OAuthUser, which is an extension of the dalicore-ejb User. Upon successful login, the user will be redirected to an authorization page where he/she can choose whether to allow the service consumer to access his/her user data. Which brings us to the third endpoint authorize, where a user authorizes the service consumer. When the user allows access to the service consumer, we will call the service consumer's callback. A service consumer should have provided this callback when it requested the request token earlier on in the oauth process. We will come back to that when we create the service consumer application. Below you will find the two jsp's (login.jsp and authorize.jsp) that we will need, one to allow a user to login and another one to authorize a specific service consumer. There are two init parameters for the Jersey servlet that require some explanation. When a URL on our web application is called with the Authorization HTTP header, it will be filtered by the Jersey OAuth filter. However, getting a request token or access token also contains the Authorization HTTP header. Since these aren't regular OAuth requests, these should be ignored by the OAuth filter. This can be done by specifying the com.sun.jersey.config.property.oauth.ignorePathPattern init parameter. The second init parameter com.sun.jersey.config.property.packages is required to tell Jersey which packages to scan for providers and handlers. Be sure not to forget to specify the package in which you created the OAuthHandler class. Otherwise it won't be detected by Jersey and you'll receive 404 responses when trying to authenticate a user. The application should deploy successfully and now you can point your browser to the following location: http://localhost:8080/oauthprovider/rest/oauth/authenticate. This should show the login screen. Now it's time to head over to part 2, where we will create the service consumer side that will connect to the service provider application we created here.